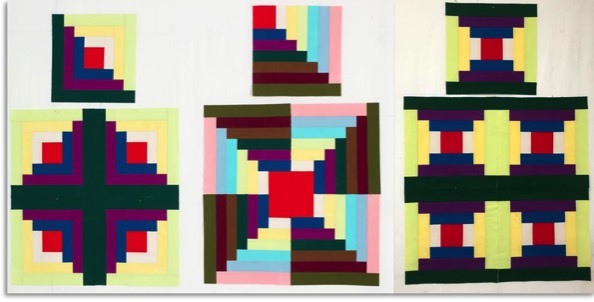 Denise L Roberts has been making quilts since 1989 and started to approach quilting as an art form in 2005. She lives on a 38 acre farm in the mountains of West Virginia with her husband Rick. Wanting to further her development, she has attended more than 47 workshops. 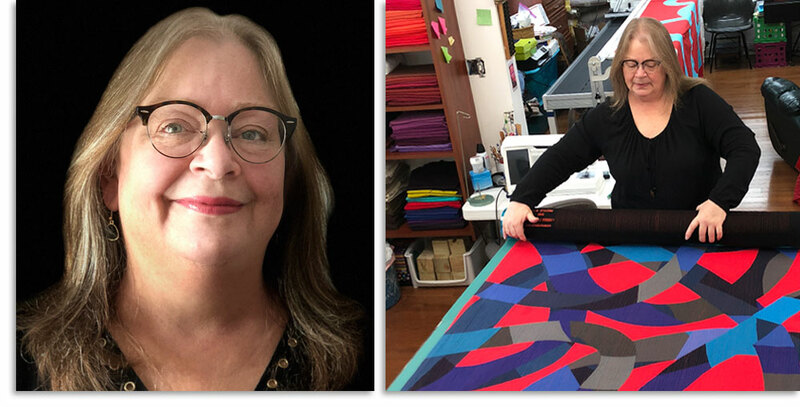 Studying with leaders in the fields of contemporary quilt-making, fabric dying, composition, color, design, machine-piecing, collage, shibori, screen printing, mark-making and surface design on fabric. Denise hand dyes fabric for her stitched compositions during the summer months. 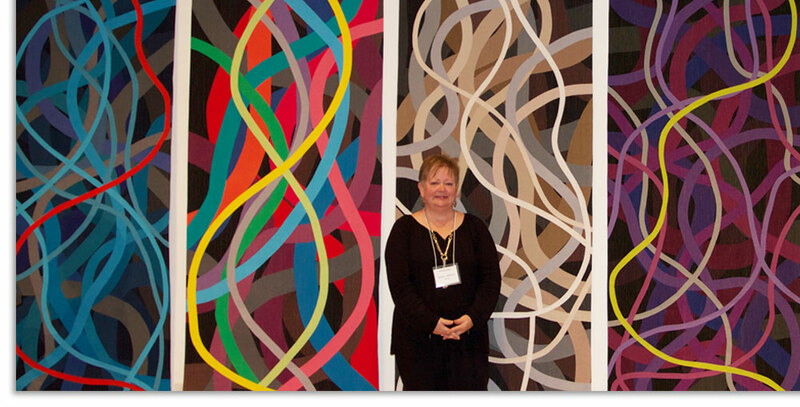 Her work has been exhibited in numerous art and textile exhibits in Europe and the United States. New classes created for the Crow Barn Timber Frame Barn! Denise has developed two NEW exciting classes for the Crow Barn Art Retreats. This will be an outstanding opportunity for an immersive experience into quilt making for the machine piecer. These two weeks will give the receptive student all the solid mechanical foundations needed to proceed on to studying composition with Nancy Crow. Are you an advanced student who has a strong interest in becoming more expert in machine piecing techniques and construction? Independent Study Opportunities are now available Spring 2019 in both of Denise Roberts’ 5-day workshops. Denise will help guide any intermediate/advanced student through more intricate machine piecing techniques in order to get any composition, no matter how difficult, off the wall. Construction can be hard to manage in a composition as it becomes more complex. So Denise will cover steps you must take to machine piece a composition once it is cut out and pinned to the work wall in the classroom. 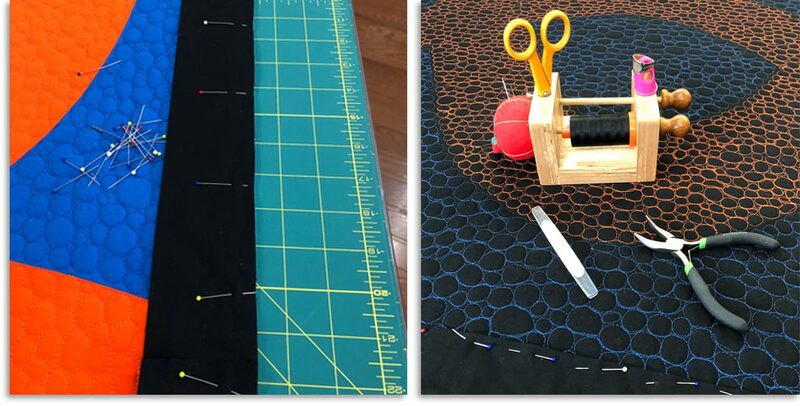 In addition, she will also guide students through all the very important finishing steps needed to professionally present a quilted composition in any exhibition. This workshop will cover everything first time quilters need to succeed. This class will introduce the fundamental basics of machine-piecing & building a strong foundation for excellent craftsmanship. Sewing exercises with rotary-cut quilt making (as opposed to using templates) will be used to practice and learn new techniques. Several small quilt tops will be constructed during the week. A wide range of subjects will be covered, including fabric, needles, threads, tools, sewing machine trouble shooting, craftsmanship, use of journals, making a design wall and how to store and ship your quilts. If you are considering studying with Nancy, or if you are currently a student and want to sharpen your craftsmanship, this workshop is for you. Denise used solid colors for the class samples. You can bring solids or prints. Please wash all of your fabrics. The materials fee includes a book, hard to find ruler, and handouts. Please bring any supplies that you will need to work independently. 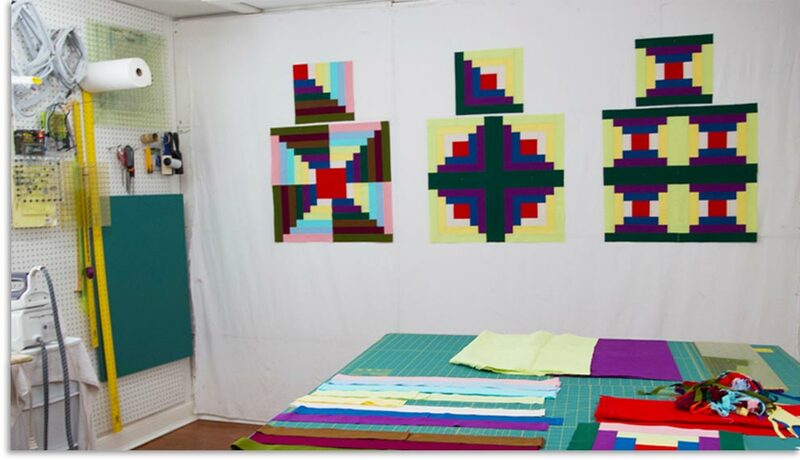 Machine quilting and finishing techniques will be the focus of this workshop. 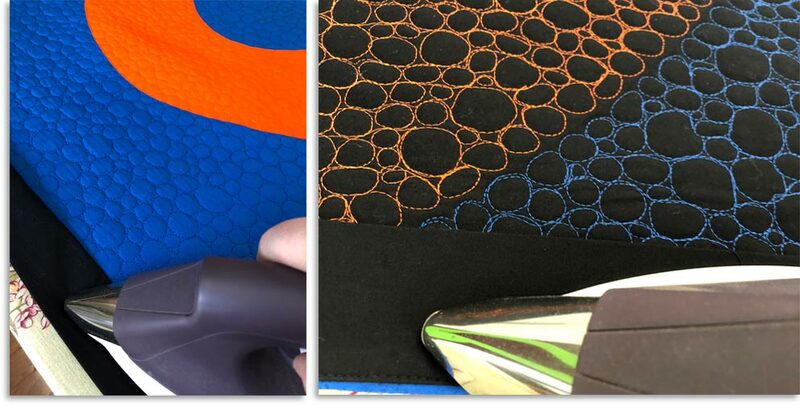 Preparation for machine quilting will be covered on the first day. Topics to be covered include: quilting options, batting, backing fabric, quilting thread and the “quilt sandwich”. We will be machine quilting straight lines using a walking foot. For those of you who attended the first week we will be quilting your quilt tops you created in class. If you did not attend week one bring a quilt top to quilt in this class. Please bring a quilt top that is approximately 36” x 36”, not much bigger so we can move on after quilting to the finishing techniques. 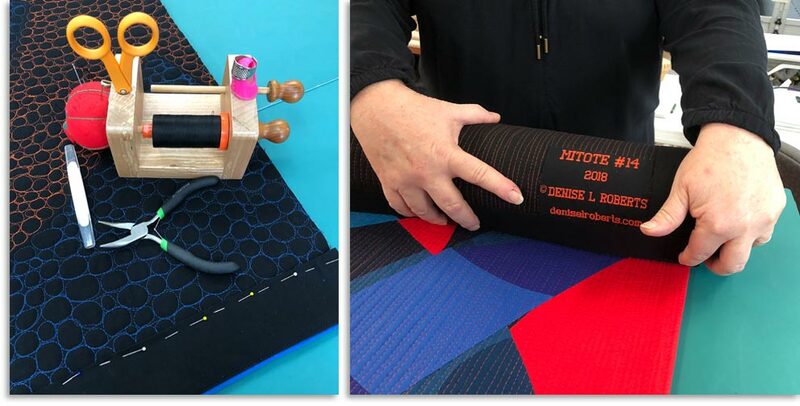 Finishing techniques will include: squaring up your quilt after the quilting is finished, making and attaching facings, hanging sleeve construction and labels (we will cover the information that should go on your labels). 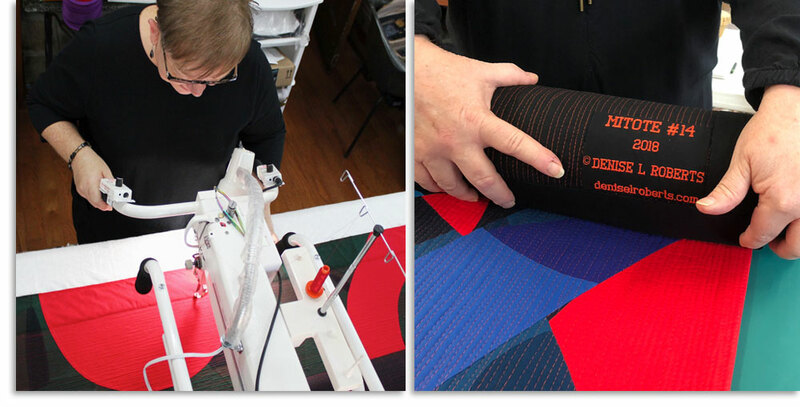 So much time and effort go into our quilts. This class will help you learn how to have them hang beautifully flat so as to present them professionally. • Cotton fabric for backing, bindings/facings, and hanging sleeve - 2 1/2 yards. • Please wash your fabrics. Images of Denise Roberts, her work & studio.